There’s a good reason why – whether win or DNF – a driver is always quick to thank the people back at the shop; the people who work their tails off all week so the driver can climb behind the wheel and put it all on the line. 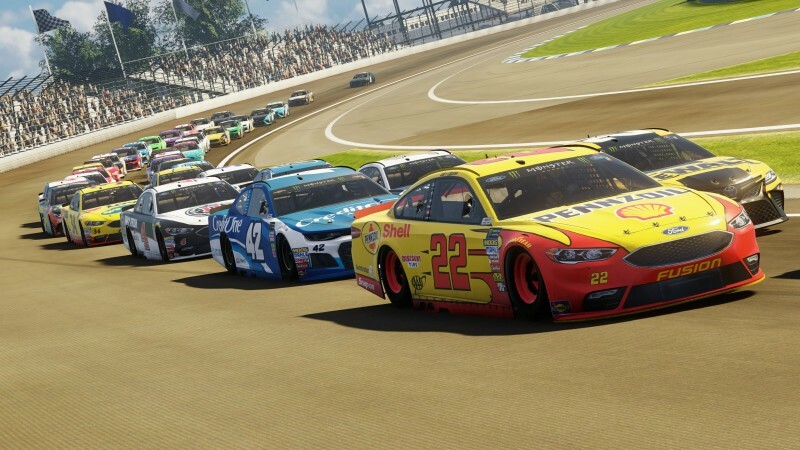 Finally, NASCAR Heat 3 gives its earnest due to all those who make it happen via a career mode with more organizational options. 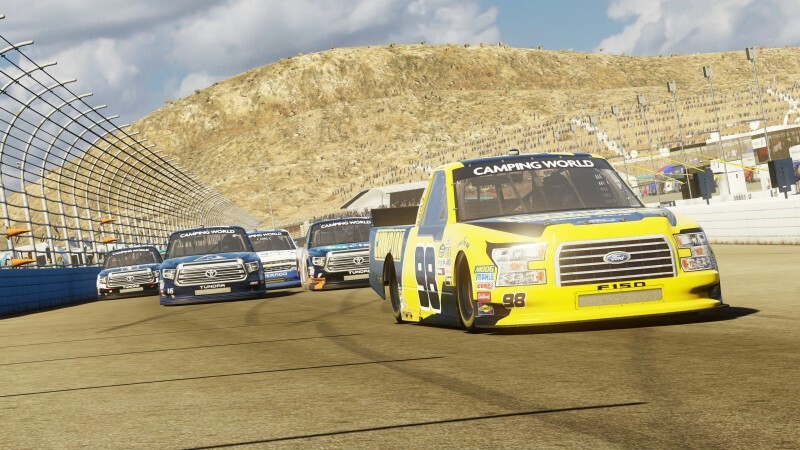 The franchise has desperately needed this step forward since developer Monster Games brought the series back two years ago, but even with this new evolution the game doesn’t roll off the hauler a total winner. 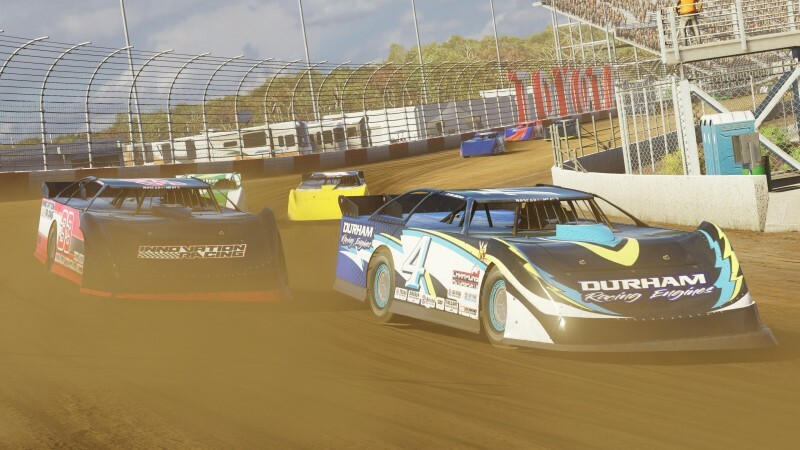 The game’s career mode is expanded in two crucial ways: You start out in an abbreviated dirt racing tour, which offers a loose and local racing feel that other racing series can’t offer, and you can start your own racing organization. While you don’t have to do this and can simply race on contracts from other teams, managing your own racing team (you’re the only driver, however) creates a reason to spend all the money you’re making, which is otherwise a dead end. There’s nothing complex in running your own team – it’s just a matter of hiring employees, training them up, and putting them to work on chassis setups catering to the specific types of track you race on. It’s not like F1 2018 where you’re making choices on a sprawling R&D tree. 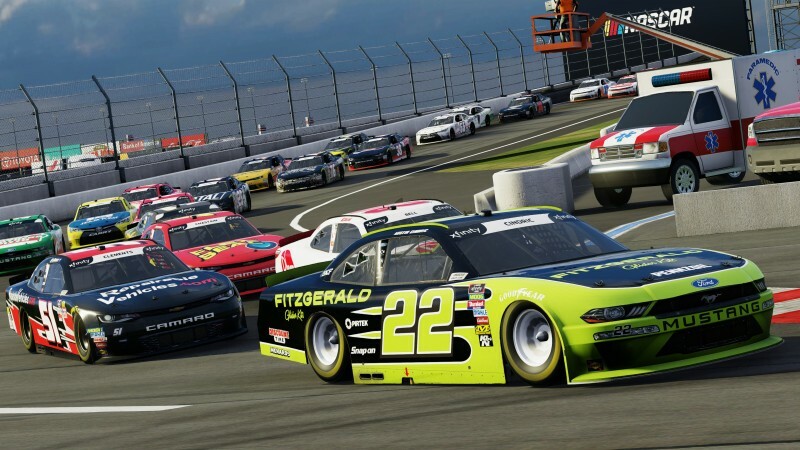 Despite the simplicity of Heat 3’s franchise setup, one aspect particularly suited to NASCAR shines through: bringing the right car to the right track. 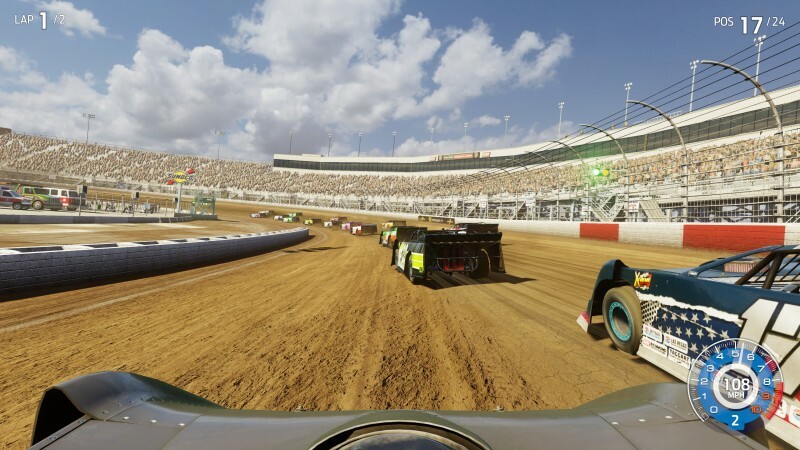 Stock car racing may be predominately ovals, but if you don’t set up the car specifically for the track you’re racing you’ll never get to victory lane. Thus, you have to grow your organization to the point that you can work in advance to have the right machine when you need it. The rub is that each chassis starts at a 70 rating each week and employees can raise that number by a maximum of 15 points per week. So, if you want to get that car to a 100 or make it competitive, you’re going to need at least two weeks. But you sometimes don’t have that luxury because the schedule may stack races that require the same type of chassis three weeks in a row, for instance. So you’re always eyeing the schedule and seeing what you can get away with. 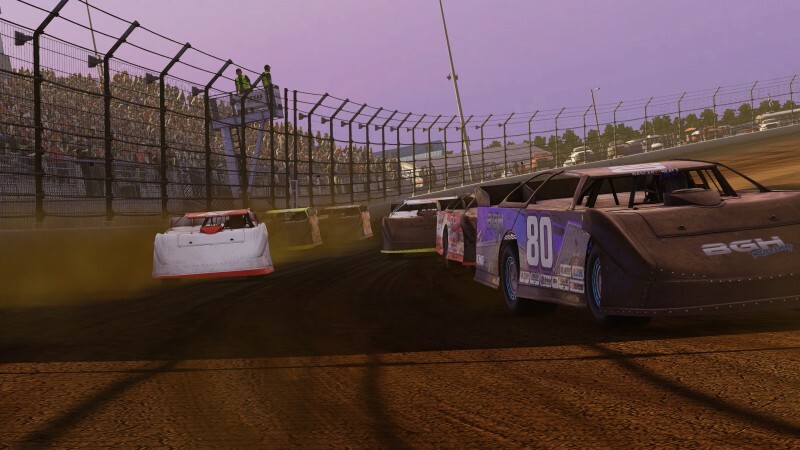 Can you meet the sponsor objective of a top-five finish with an 80-rated chassis? 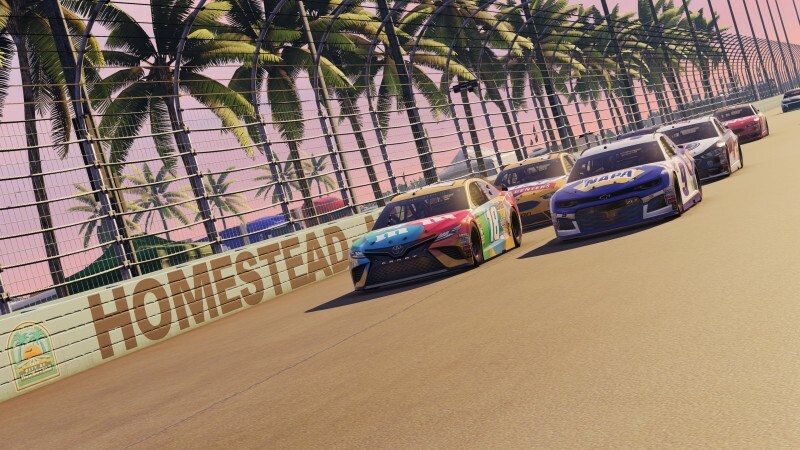 Do you take the 90-rated one that was originally planned for a super speedway instead and take a ratings penalty on top because it’s not actually designed for the track you’re racing this week? You’re constantly juggling present and future needs. Sometimes you get lucky and sometimes you have to bite the bullet and do the best with what you got. 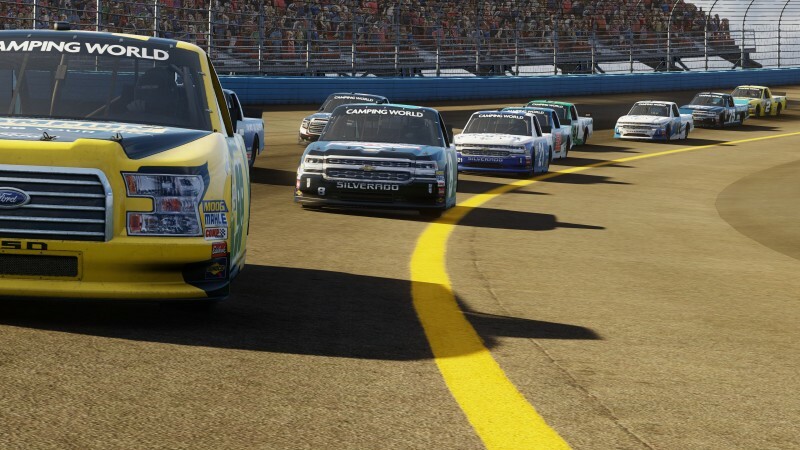 While owning your own team and juggling its demands gives the game a needed NASCAR feel, it’s lacking in other areas. The rivalries, while letting you interface with drivers through a basic email system, don’t really manifest themselves on the track. Despite your organization’s chassis setup, you don’t have to deal with damage – which doesn’t even visually show up when you’re racing. It’s also disappointing that the paint schemes you can create for your team’s cars are very basic. 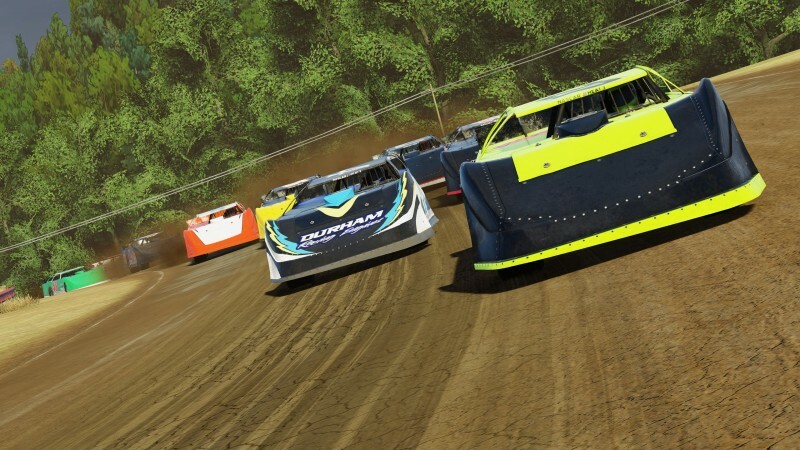 In terms of the game’s racing itself, much remains the same – in a good way. I love trying to hook up with partners in different lines to make my way through traffic – even if I know that staying in a line too long could mean three other cars team up and blow by using another part of the track. Going for the block isn’t always a sure thing, with getting punted into the outer wall the kind of track justice that makes you mutter, “fair ‘nuff.” Perhaps more than ever I spent a good amount of time racing just by looking in my side mirror, trying to guess which packs were forming up behind me to try and make a run. In other areas, the gameplay has improved, such as A.I. cars pitting at different times, but other problems occasionally show up such as cars randomly stacking up or not taking good lines, and visually the whole package needs a new coat of paint. Online is similarly much the same. 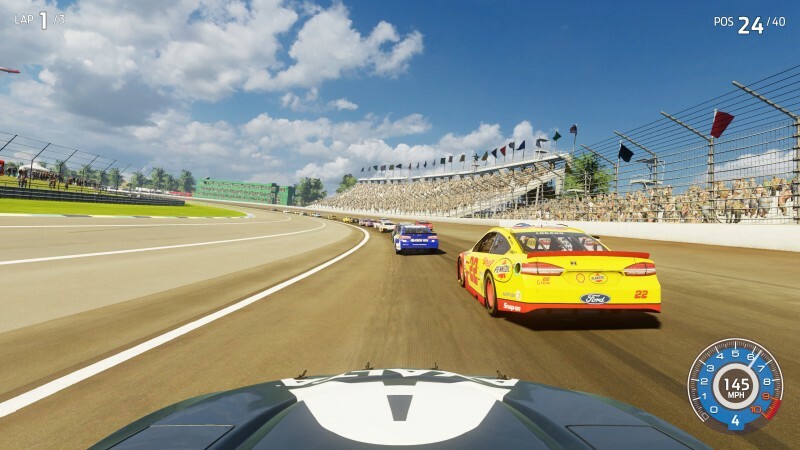 The race countdown automatically starts once a second person joins the lobby, lag can infect races, and there aren’t options to turn off collision or turn on qualifying for races. The game has, however, added a weekly tournament structure that leads to a year-end shootout, creating needed, optional big-picture goals. 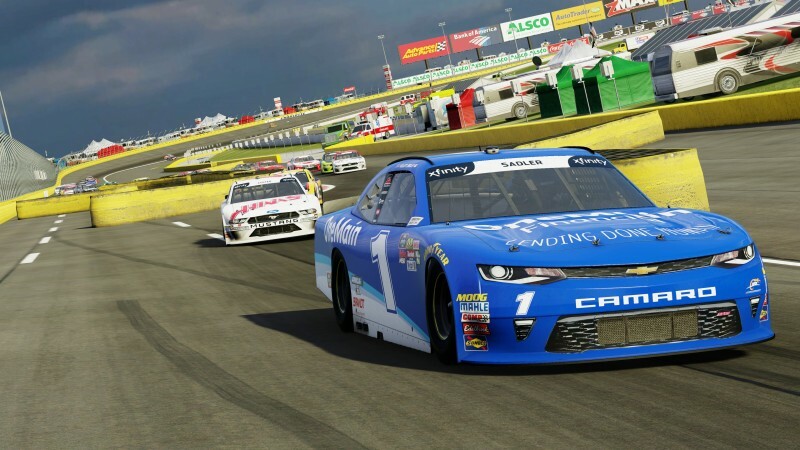 The NASCAR Heat series is three years in and is just now hitting its stride. This year’s addition to the career mode is a solid foundation that pays off in the present and sets it up for the future. I don’t think the game has necessarily locked down each of its main components – gameplay, online, and career mode – but it’s making its way through the pack. I don’t think the game has necessarily locked down each of its main components – gameplay, online, and career mode – but it’s making its way through the pack.